My two-year-old son, Taylor, loves taking baths, and he has SO MANY bath toys. Up until now, I’ve used his baby bathtub (which he outgrew months ago) as a toy storage container for all those bath toys. Then I had the opportunity to try out a much better solution to the bath toy clutter – the Mother’s Helper Bath Toy Organizer. This is a great product to help keep all of Taylor’s bath time toys organized, and it helps them dry faster after bath time is over too. You get two large mesh bags in the package – each one is 18 inches wide by 14 inches high, so there’s plenty of space for even bulkier bath toys. Each bag has extra-long loop handles at the top corners, and there are two hooked suction cups for each bag. And these are some heavy duty suction cups – they’re tested to hold at least 8 pounds! The bag itself is really sturdy too – I actually tried tugging on it to see if the mesh would rip, and even pulling as hard as I could, the fabric didn’t even stretch out and lose its shape. So I don’t have to worry about the bag tearing if the edge of a toy or the pump dispenser of a baby wash bottle catches on it. Notice: Baby in a Bag is for entertainment/demonstration purposes only. Please do NOT try this at home! Photo courtesy Tiffani via Amazon.com. What I really like about this product is that it’s great for so much more than just bath toy storage. In the bathtub, the mesh design helps the toys dry quickly to prevent mildew. That means you can also stick it to the shower wall to store your own bath products in – great for small bathrooms with limited storage! But the suction cups stick to ceramic tile, glass, or any other clean and smooth non-porous surface, so you can hang the bags to store other products in other locations. You can even use the bags without the suction cups, just hanging them where you need them by the loop handles. We spend a fair amount of time in our minivan, and the suction cups stick to glass windows just as easily as they stick to the side of the bathtub (especially if you get them damp first). So I can stick one of these bags to the bottom of a window in the van and fill it with small toys to keep the kids occupied on the road. (And since there are two bags per package, that means both of my younger kids can have a bag of goodies within arm’s reach). You can also use these bags to keep snacks or toys close at hand and attached to your stroller when you’re out for a walk. Since the durable polyester mesh fabric lets air circulate, I’m planning on using one of these bags for hats and mittens this coming winter. With a couple of stick-on hooks attached to the wall over the radiator, winter gear can go straight into the bag and then I can hang the bag by the looped handles to dry out damp mittens quickly and without the clutter or chance of mildewy mittens. Check out this video review of the Mother’s Helper Toy Organizer – thanks to Tom The Squirrel Whisperer for sharing permission! If you’d like to purchase the Mother’s Helper Toy Organizer, you can purchase the 2-pack on Amazon (Prime eligible) for the current list price of $9.99. You can also enter to WIN one right here! This giveaway has THREE lucky winners – the first place winner will receive a $50 Amazon gift card, and two runner-up winners will each win the Mother’s Helper Toy Organizer/Shower Caddy! 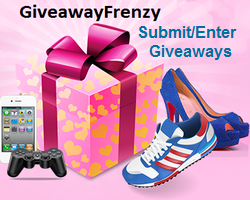 This giveaway is open to residents of the continental United States and ends May 10th, 2015 at 11:59pm PST. Good luck! DISCLOSURE & DISCLAIMER: I received one or more of the items mentioned herein free for review purposes; nonetheless, all opinions expressed are my own unless noted otherwise. I am disclosing this in accordance with the Federal Trade Commission’s 16 CFR, Part 255 Guides, Concerning the Use of Endorsements and Testimonials in Advertising. Dividing by Zero is not responsible for prize fulfillment; the sponsor is responsible for shipping the prizes to the winner’s valid address (no PO Boxes). Your information will not be sold or shared; it is used by the blog owner only and solely for verification/prize fulfillment. This entry was posted in Giveaways, Product Reviews, Reviews and tagged Giveaway, Kids, Product review, Toys by Tara.Bookmark the permalink. My sister uses a variation of this product! It is actually designed to hold, and wash socks, so they don’t escape when doing the laundry! The bag looks virtually the same, but also has a zipper on it! You can get them at the dollar store usually!!! Pingback: Mother's Day #Giveaway Winners and Coupon Code!!! - Here We Go Again...Ready? I would use it to hold all of our bath toys. I would use it in the bathroom for the grandkids bath toys. My kids are grown. But I have a friend who has a 3 month old grand son, I share this with her. It would be great to take small toys to the beach. If they got wet they could air dry on the way home. this would be great for the bathtub toys! All my babies are grown up but I would definitely recommend this for parents. I would use it for the original purpose–bath toys! I’d use it for bath toys. I would use it to hold shaving stuff. My daughter is a little old for toys in the bath tub, but it is still useful. I like baby products that can be used long after they are a baby. I would use it to take toys to the beach, park and pool. I would love to have this for our shower, bath tub- very handy for storing soaps and other bath aids. I would use it to organize my daughter’s playroom especially on her dolls. This would be perfect for the tub toys, they’re out of control! I would use it to hold all of my daughters lotions. I would use it in the bathroom for all the toys. I would probably use for all my shampoo/conditioner/body wash, etc., samples for guests when they come to stay. I’d use it at the pool- perfect! I would use this on the bathroom, Thank you! I would probably use it to organize in my son’s room. I would use it in the tub also what a great idea. Forget the bathtub, this would be going straight onto our boat to use for holding wet bathing suits, towels, snorkeling gear, or anything else we need to store until we get onto dry land. I love these bags! I have a tiny bathroom and very small shower so I’d use these to hold my shampoo and body wash! We would use it for the alphabet letter blocks. I would give it to my best friend. She has a 10-month old who LOVES bathtime! Awesome organizer to store bath toys!! I’d use this awesome organizer to store bath toys! I’d use it in the tub…so many toys! I love quick, easy toy corralling methods like this! I could definitely see us keeping it in the car. I thought the review for mothers helper very good. I wish they had those type of things when my chidlren were young. I would keep my grandbaby in there. 🙂 This would be a great idea for my grands’ bathtub at home. Would be great for travel. I would use it for the kids sandbox. Easy toy cleanup! I would use it for a bath toy organizer! I currently have to move all the toys to the counter. Which of course looks horrible! I would love to use it for an organizer in my car! I would love to use it for all of my face washes, shower gels, shampoos and scrubs. I think it would be a great organizer for bath poufs. I would use it for my grandson’s bath toys. I would either use it for toys or use it to keep bathroom products out of reach of my little ones. My granddaughter has SO many toys in the bathroom. They are in different cups around the tub! This would be so great! She needs some organization in there! I would store bath toys in it – we certainly have a lot! I’d use it for on the go storage. I love this!! You can put this anywhere that the suction cups would stick too! No holes or tools to install it! It looks safe & I the video showed you can store other items in there besides bath toys. I would even use it in the laundry area for socks that seem to get lost/eaten all the time. I would love to use this for all the toys we have in our car! Whenever I drive they slide or the kids throw them everywhere, this would be perfect! As I am disabled and have at least 3 canes in my vehicle and a handicapped sign, and a bunch more stuff i need I would use it in the car! I would give it to my sister-in-law for my nephew! He loves his bath toys and bath time! I would use it for my son’s bath toys! id love to have it for bath toys. I would use it as toy organizer. Yep, bathtub use. Would work perfectly! I would definitely use it in the bathtub. This would be great for getting all of the toys out of the bottom of the bathtub. I would love this for little cars my sons have. I would use it as a shower caddy. I would use it to keep the stuffed animals picked up in the bedroom. I would use it to hold potatoes in the kitchen or sponges and washcloths in the bathroom. We take frequent visits to the beach in summer, so I would use this to store the accessories for our day at the beach. Thanks for the chance! I would pack baby books inside and give it to my cousin for her young son. I need it to keep my house in order for good. i would use it as a toy organizer for the bathroom for sure! I would use it in the bathroom for toys or in the car! Yarg, i would use it to catch me the White Whale. Now, Where is queequeg? I would love to use this for both of my sons toys that they leave all over the bathtub. I would use it for toys in the bathroom. I would use it for the bath toys my grandchildren like to play with when they are at my house. I would use the bag in the bathtme, so the toys will dry. I would use it for tub toys — we have a lot. I like that this hangs up so they get air to dry out. I would use it to organize the back of our Explorer! I’d use this for the bathtub toys. I would use the organizer for holding all of the kids bath toys. I would use to store my kid bath toys in!! Thank you!!! I would use this for my sons bath toys if I won. I would use it to hold all the pouffs my girls use in the shower. I would use it in my bathroom to put all of my sons bath toys in! I’ll use it to store toys! I would use it to store my nephew’s thousands of legos. I will give it to my granddaughters to use for their bath toys. I would either use it in the bathroom for toys or in my car for the kids travel items. I like the idea of using it to hold bath toys. Read Dividing by Zero’s review and leave a comment on that post sharing what you would use the Mother’s Helper Toy Organizer for! I think I would use it in my car my kids always bringing and leaving their toys. I think this would help them store and organize their toys better! This would be perfect to use in the tub to store our daughters bathtime toys! I would definitely be using for the bath toys if I won. I think this would come in handy for myself and the children when we go on road trips, to carry extra books, toys, ect. Or even in the kitchen for produce. It would be quite helpful to my hubby and myself for our RV with extra toys, trinkets or tools needed. This would be great for my girls’ bath toys, which I currently have no holder for, they are a mess. I love how much this holds and the weight as well! I would for sure use it in the car to keep all their toys from falling out when you open the door! I would love this for all my grandkids bath toys. I would use it to organize my sons bath toys. I would use it for bath toys! I would use this to put my grandson’s foam letters in and other small bath toys. I would use it for the bathtub! My daughter loves bath time. I would give to my grandkids. This would be great in our bathroom. We have a million and one rubber ducks, and trains! This would be a great way to help keep the car organized so that things are not just floating all around. We would use this in the tub to put all the tub toys in. What a great way to keep them out of the way but allow them to dry at the same time. I WOULD USE IN THE PLAYROOM TO PUT STUFFED ANIMALS IN. I would use it to store stuffed animals. Pingback: Mother's Day #Giveaway $50 Amazon GC 3 Winners!!! - Here We Go Again...Ready? I would use it in the kitchen to store lids. II would give this to my niece, who has a 4 yr. old, and a brand new baby girl. I would use it for bath toys. I would gift it to a friend at my church. I would put this in the backseat of the car so the kids could out their books in it. I don’t have kids but I think this is great to store anything! I would use this to store my daughter’s bath toys. I would use it to store my nephew’s blocks and small cars to keep them organized – this would make for easier access when he comes over to play. I would send to my cousin as she is just starting with a little one. I know with mine, especially during toddler years, they loved playing the the tub and had so many toys to pick up. This will help!